Raymond, Katrine. "Kennedy Stewart". The Canadian Encyclopedia, 19 March 2019, Historica Canada. https://www.thecanadianencyclopedia.ca/en/article/kennedy-stewart. Accessed 24 April 2019. Kennedy Stewart, politician, academic, mayor of Vancouver (2018–present) (born 8 November 1966 in Halifax, Nova Scotia). Stewart served as a Member of Parliament for Burnaby–Douglas and Burnaby South and was a member of the NDP caucus. He is an associate professor on leave at Simon Fraser University’s School of Public Policy. Stewart is currently the 40th mayor of Vancouver. Burnaby-Douglas MP Kennedy Stewart addresses the crowd at the "Stop Kinder Morgan" protest rally at Burnaby Mountain Park, 13 September 2014. Kennedy Stewart was born in Halifax, Nova Scotia, on 8 November 1966. In a period of economic instability and rising mortgage rates, the Stewart family lost their home after his father lost his job and the family went bankrupt. This early experience deeply affected him, shaping his later political focus on housing affordability and homelessness. Kennedy Stewart earned his bachelor’s degree in history from Acadia University in Nova Scotia. In 1989, he left Nova Scotia and moved to Vancouver with only $100 in hand. He worked at a variety of jobs, including running a printing press, playing in a band and delivering beer. While working with the City of Vancouver’s planning department and park board, he became fascinated by how cities work. Stewart decided to complete a master’s degree in urban politics and policies at Simon Fraser University	in Vancouver and went on to pursue a PhD at the London School of Economics, where he studied world cities. In 2002, Stewart returned to Vancouver to work as a professor in the School of Public Policy at Simon Fraser University. In addition to teaching, he advised governments and the United Nations on housing and cities. Stewart has authored articles on public policy and democracy, and in 2017 he collaborated with fellow politicians, Liberal Scott Simms and Conservative	Michael Chong, on the book Turning Parliament Inside Out: Practical Ideas for Reforming Canada’s Democracy. Elizabeth May, leader of the Green Party, and NDP MP Kennedy Stewart join the protest at the Kinder Morgan tank farm in Burnaby, British Columbia on 23 March 2018; the protestors were arrested. 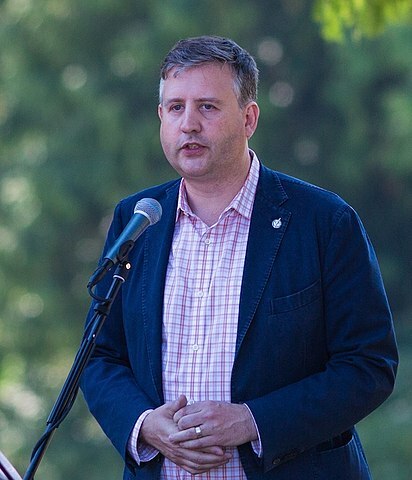 In September 2018, Kennedy Stewart resigned his seat in the House of Commons to run for the position of mayor of Vancouver	as an independent candidate. During his election campaign, Stewart focused on four main issues: affordable housing, sustainable economic growth, the environment	and growing a compassionate city in the face of the opioid crisis. He also emphasized collaboration between progressive politicians in order to bring more progressive policies to Vancouver. On 20 October 2018, Stewart won the election to become mayor, defeating his main rival Ken Sim, the Non-Partisan Association candidate, by a narrow margin. Kennedy Stewart’s top priority as mayor has been Vancouver’s home affordability crisis. During his campaign, Stewart promised to protect the city from land speculators and foreign investors, who have driven up home prices. He promised to build 25,000 new nonprofit affordable rental homes and 35,000 affordable units for first-time homebuyers such as condos, townhouses, and coach houses over the next decade. In February 2019, city council approved a major construction project in conjunction with BC Housing and Vancouver Coastal Health to build 90 units of long-term affordable housing, as well as a drug withdrawal management centre at East First Avenue and Clark Drive in the Downtown Eastside. During his 2018 mayoral campaign, Kennedy Stewart expressed support for arts and culture. He promised to increase funding for the arts, to expand library services and to build 100,000 square feet of affordable studio space for creators. Stewart promised support for small businesses, with plans to build a new start-up hub for businesses in the tech sector. Under his leadership, city council plans to review all policies that impact small businesses. Kennedy Stewart has also promised to continue working toward Vancouver’s goal of becoming the greenest city in the world, a vision set out in previous mayor Gregor Robertson’s Greenest City 2020 Action Plan. Stewart professed continued support for bike lanes, public transit without fossil fuels and clean technology. As mayor, Stewart has continued to fight the Trans Mountain pipeline extension project. 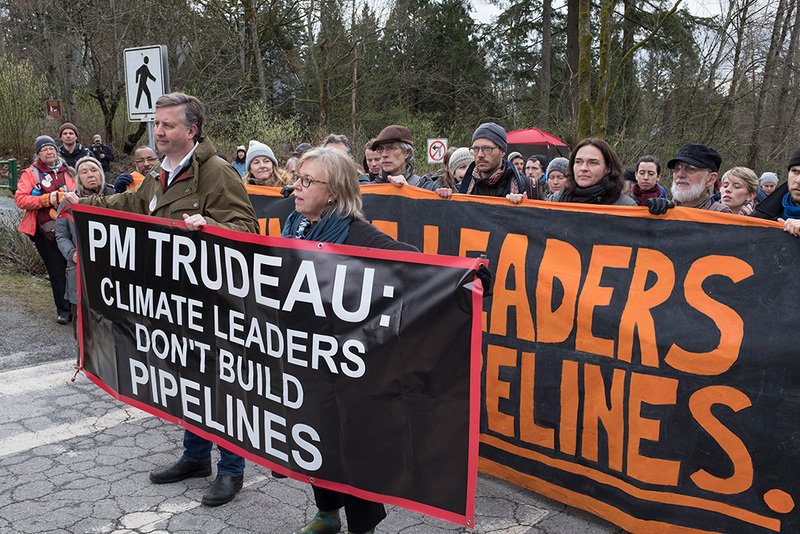 He has continued Vancouver’s role of supporting Indigenous	groups in court challenges to the pipeline expansion, and in November 2018 he met with Prime Minister Justin Trudeau, pledging to continue to fight the pipeline. Soon after he became mayor of Vancouver, Kennedy Stewart implemented an emergency task force to help address the city’s drug crisis. British Columbia’s provincial health officer had declared the opioid overdose crisis a public health emergency in April 2016. The goals of the new task force were to prevent deaths from fentanyl, to explore all options for drug policy, to expand safe injection sites and to work with the provincial and federal governments to negotiate a new Vancouver Agreement (which expired in 2010), promoting cooperation between all levels of government for development in the Downtown Eastside, a vulnerable community that has particularly struggled with the opioid overdose crisis. Stewart discussed the drug crisis with Prime Minister Justin Trudeau during their November 2018 meeting, and the task force produced its first report in December 2018. The report found that the number of deaths has remained high, despite existing harm reduction measures. Among its many recommendations, the report proposed a new outdoor inhalation overdose prevention site, expansion of harm-reduction measures into other neighbourhoods in addition to the Downtown Eastside and improved access to safe opioids to replace toxic street drugs that are often contaminated with fentanyl. The report requested almost four million dollars of funding to expand harm-reduction programs. Kennedy Stewart is also a musician. When he first moved to Burnaby, British Columbia, he played bass guitar for State of Mind, a pop band that won three West Coast music awards (1991). Stewart is married to Jeanette Ashe, a professor at Douglas College in New Westminster, British Columbia, who chairs the department of Political Science.